After receiving a warning for being late to the start (mind games), Nonesuch, stationed on the city side, were neck and neck with Coldharbour BC after the starting straight. Coldharbour gained the advantage in the first bend and were leading by just under a length. Just as the opposition seemed to be moving away, a well timed ballsy Nonesuch push coupled with the favourable final bend (special mention to Poppy Mather for inspired coxing) opened the door for Nonesuch. Capitalising on the shift in momentum, Nonesuch turned on the afterburners and, in front of a raucous crowd baying for UWE blood, surged to the line, claiming victory by just over a length. 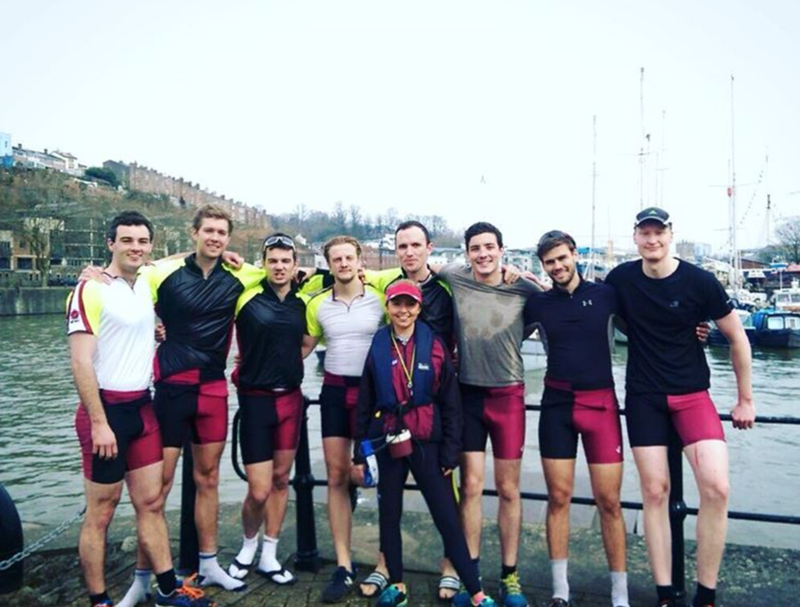 Nonesuch men's crew provided a nail biting race, proving that with experience and a cool head under pressure, fitness is purely optional! "We did have some steering mishaps but nothing Lowri (or Danielle... Still waiting for some epic crab pictures) couldn't handle. When we were having problems with those naughty buoys in the water, I remember looking up thinking, oh no...UWE's going to catch us. 10 strokes hard on the legs later, I'm pretty sure they were still exactly where they were, behind us and actually quite far behind us. Let's admit it now, we had them from the start. We were clear for the win! This was also some of the girls first win at Varsity which made it even better!" Congratulations Nonesuch for accompanying UBBC in retaining the Varsity blade and upholding our gleaming reputation as objectively the world's best alumni rowing club. Onwards to Henley!! 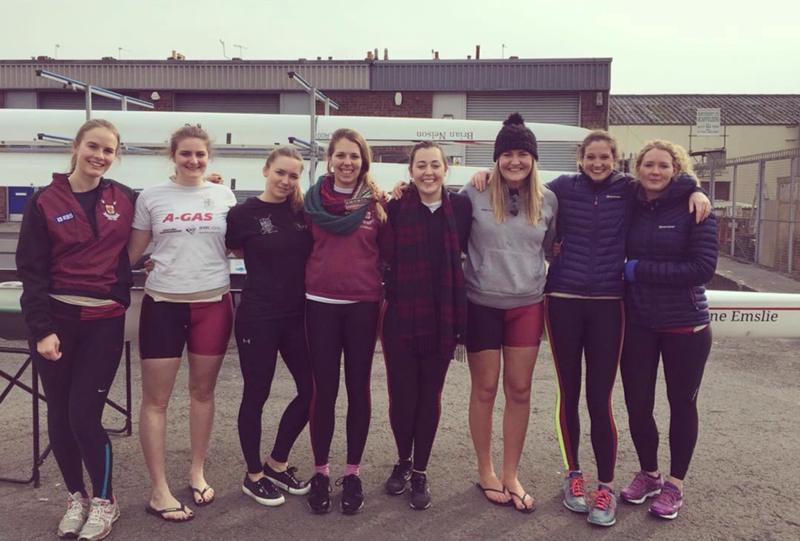 Both Nonesuch crews beat their respective Cold Harbour (UWE Alumni) counterparts. UBBC retains the Varsity Blade 3-1.